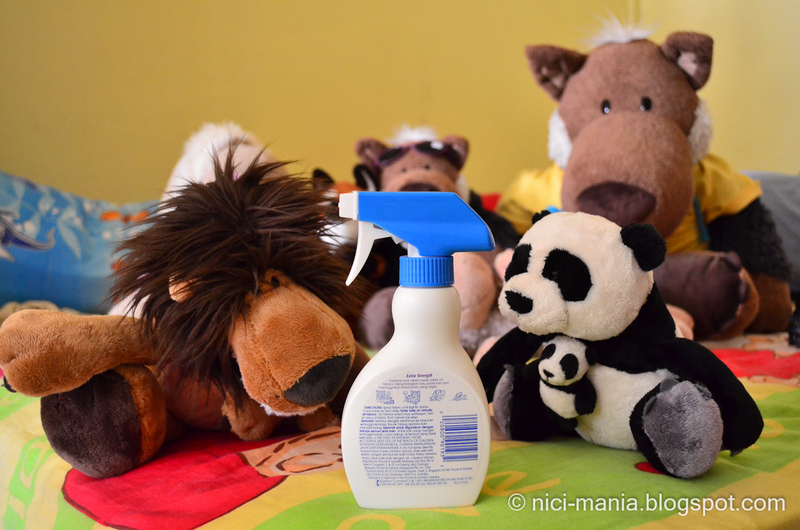 What do you do if your plush or soft toy is dirty? Use Fabreze Fabreze to clean them up! 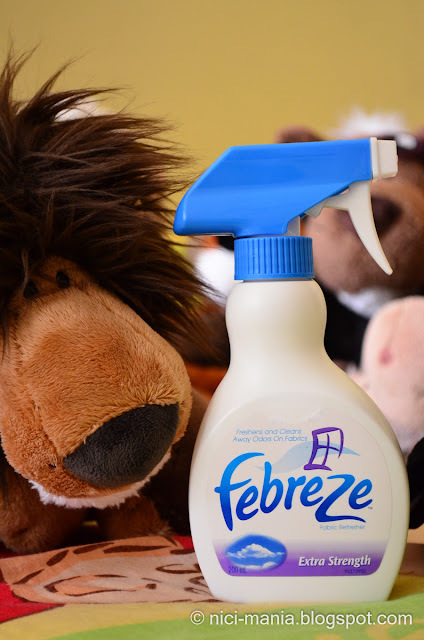 Fabreze is a very effective fabric refresher. If you're watching Singapore tv, you ought to have seen the Fabreze commercial thousands of times that its starting to annoy you. 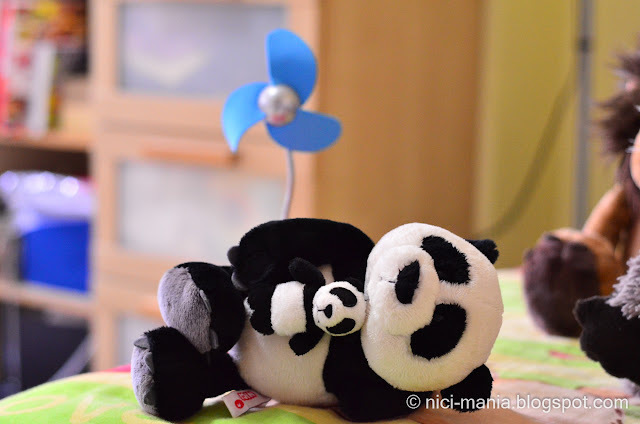 Today we are going to use this Fabreze extra strength on our NICI Panda who has gone out for an outdoor photography session for a whole day. So how do we use Fabreze? Well, its easy! 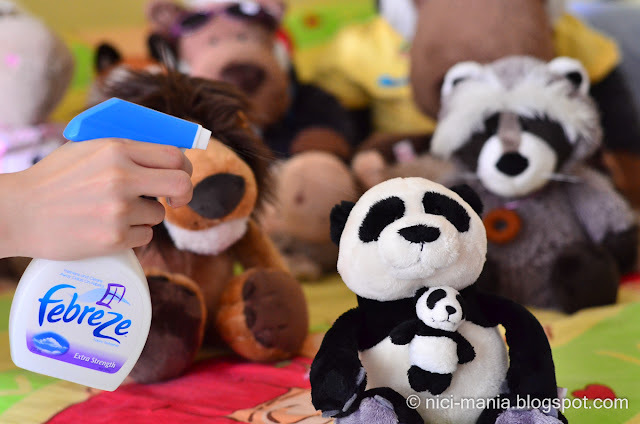 Just point Fabreze at your soft toy..
and start spraying Fabreze relentlessly on your victim until it is all wet and damp. Then leave your soft toy to dry. You may also point a small fan directly like this to dry up faster. There you go, NICI Panda is fragrant and refreshing! 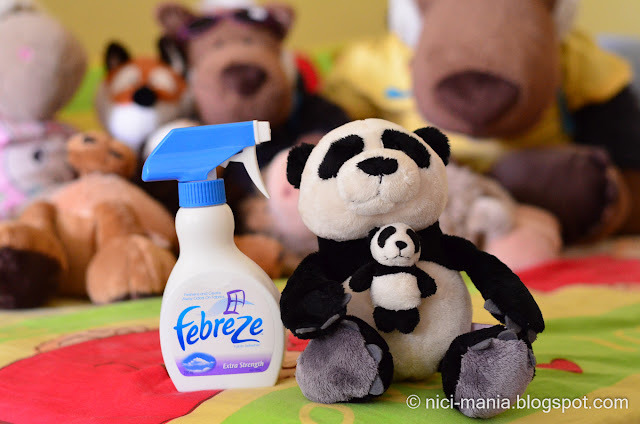 Please note: Fabreze is not a substitute for washing, you are required to wash your nici plush if it gets really dirty. 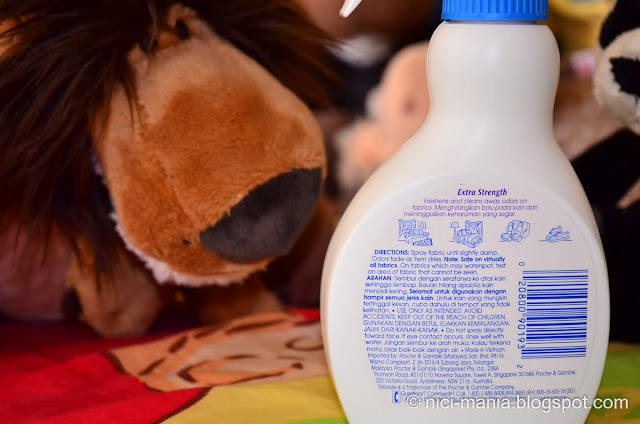 How to wash your plush, soft toy, stuffed animals coming up! Looks like a ad TV haha. Fabreeze? Is that like a bath? hehe. We love bath time with bubbles and toy boats! PS hi Hugo, I'm Michael!